This bundle includes an audiobook with 10 MP3 chapters. 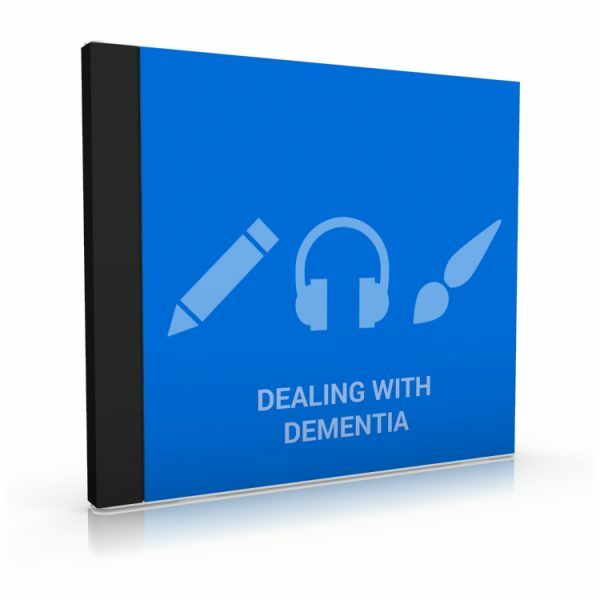 These professionally recorded audio files are easy to listen to providing you with an indepth knowledge of Dementia and how to deal with it. Its both for the carer and the patient. Get the FACTS, take control and make informed decisions. Dealing with Dementia will help you gain that all important Peace of Mind. 7 Stages and the Symptoms You Need to Know. Common Treatments to Help a Dementia Patient Deal with the Disease. Dealing with a Dementia Patient Who Is Aggressive. How Exercise Can Help the Individual and the Family Dealing with Dementia. Is Dementia Reversible or Treatable? Making Your Home Safe for a Dementia Sufferer. Organization and Routine Are Vital for Success. Self Care Tips for the Dementia Patient. Talking to a Parent with Dementia.